Stan Stannard put himself on the international boxing map by reaching the final of a prestigious tournament in Sweden. The Harby boxer flew out to Scandinavia with an England Select squad, and was drawn in the first round to face fellow countryman Will Hanson, a promising opponent from the Castle Hill club , in Bolton. Stannard had prepared meticulously for this event and quickly settled into his rhythm. The bout concluded early in the third round when the referee intervened to stop the contest in favour of the Vale of Belvoir fighter. The following day he was matched against Iranian opponent Amir Smesem, now residing in Gothenburg, only 20 miles away from the tournament venue of Boras. Smesem’s Friday fight had been an acrimonious affair with both men receiving official warnings; Stannard was expecting a tough test and got one. Smesem employed a spoiling strategy, using elbows and smothering tactics to gain any small advantage. The Englishman was awarded the fight, but required medical treatment for a cut above his right eye following a headbutt. It was a brutal encounter, but Stannard refused to be distracted and boxed his way to victory. Sunday morning saw the four contenders announced for the King of the Ring Crown, with the Leicestershire fighter included among the quartet from an initial entry of 500 boxers. Stannard’s opponent in the final was Adam Chartoi, a Swedish international and national champion from Stockholm. The Englishman turned in a brilliant display against a much more experienced opponent, but was disappointed to settle for a silver medal after losing out on points to the local champion. Both boxers received the Fight of the Year Trophy for their contributions to a bout loaded with high quality ringcraft, giving Stannard am encouraging consolation. Dad Adrian said: “To reach the final was such an achievement when seeing the list of previous winners. 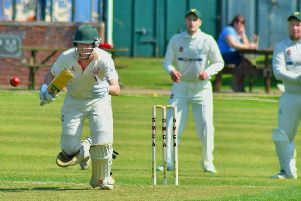 Stannard, who is now busy preparing for another England squad trip to Portugal next month, would like to thank his sponsors Davies Salvage, of Langar, and everyone who supported him last weekend.